The Crimea: American, or Russian? Can you imagine US troops in the Crimea? No need to imagine. They were there. And if Russia had ignored the plebiscite of the people, the US Navy would be there today. Instead, faute de mieux, the US Navy is now ensconced at Ochakov, Ukraine on the coast of the Black Sea, thanks to the compliant regime in Kiev. There have been US forces in the Crimea, back in those “Orange Revolution” days when Ukraine held Krushchevian sway over the Crimea. Thanks to WikiLeaks, we know about their presence in Crimea, and also about the popular reaction in the Crimea to US forces being there. 1. (SBU) Summary: Anti-Orange Revolution forces are using the occasion of a joint U.S.-Ukraine mil-mil cooperative exercise in Crimea to stir up anti-NATO sentiment in the majority ethnic Russian peninsula and smear the Ukrainian government. Demonstrators outside GOU-administered compounds in the Crimean cities of Feodosiya and Alushta bottled up U.S. military personnel (temporarily restricting access to food and water), followed the vehicles in which they were being transported, and otherwise prevented the reservists from doing the job they were sent to do — building basic facilities for participants in the joint military exercise “Sea Breeze” that is scheduled to begin in mid-July. The Ukrainian military unsuccessfully attempted to keep Sea Breeze preparations approved by the GOU low profile pending passage of legislation specifically authorizing the exercise. We have energetically engaged senior levels of the Ukrainian government to resolve the situation and ensure the safety of U.S. military personnel, our paramount concern. A positive resolution to this ongoing problem is important to the GOU to deny its opponents a political victory and to maintain its reputation as a reliable partner in joint military exercises. Wow. Locals prevented the US reservists from doing their job! Of course, it came to worse than that. But the US Navy apparently got accustomed to putting US troops on Russia’s southern frontier with the easy connivance of a friendly regime in Kiev. A touch of background, that you probably already know: since Krushchev’s illegal transfer of the Crimea to the jurisdiction of the Ukrainian Soviet Socialist Republic, then when Gorbachev ended the Soviet Union, Ukraine became a country, and controlled the Crimea. Russia then had to lease its peninsular naval bases from the Kiev government. In 2009, the Orange Revolution government of Yushchenko said that the lease, which was to end in 2017, would not be renewed and that the Russian fleet would have to leave! Though the lease was renegotiated, this little adventure was a demo of how much Ukraine was in control of Russia’s access to the Black Sea. On national television, February 1, 2016, President Obama admitted, in semi-opaque and lawyerly language, three big things about Ukraine and Crimea. 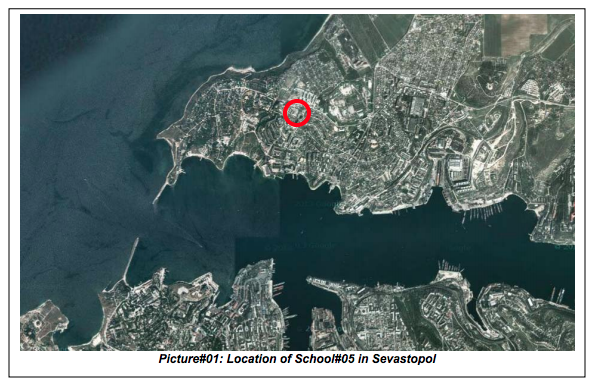 Plainly, especially since the establishment of the US base at Ochakov, we have to conclude that it was the dream of the US Navy to replace the Russian Navy in Sevastopol, and that this dream was a grand over-reach, and the people of Crimea and the people of Russia had something to say about it. Source: The Crimea: American, or Russian?